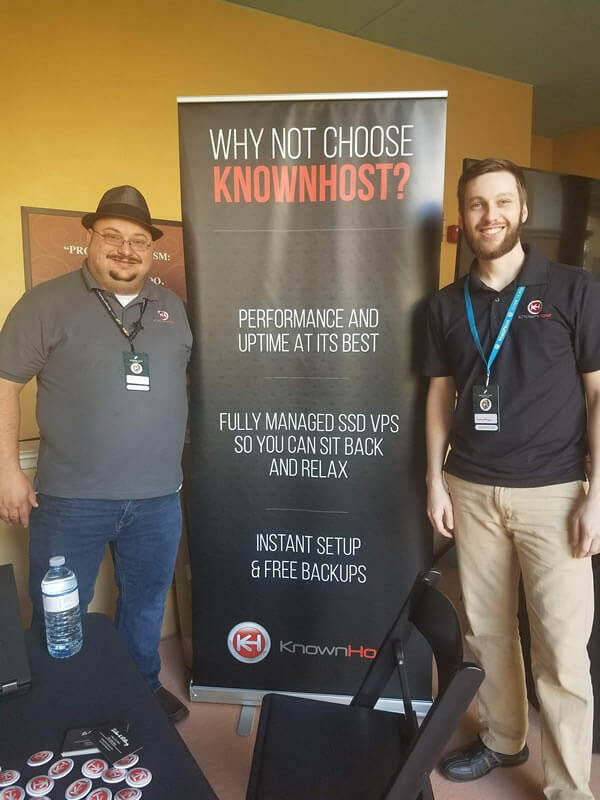 KnownHost proudly participated as sponsors, and by attending, the WordPress WordCamp Orlando, November 9th – 11th, 2018. This update is courtesy of Mickey Trivett, the KnownHost Chief Happiness Officer. Over the last few months, I attended WordCamp Baltimore and WordCamp Philly but this week I got the chance to go get some SUN! Yup, I got to go to Orlando, Florida and see what WordCamp Orlando was all about. I have to admit, I was pretty stoked about going to a warmer climate since it had been calling for cold weather in East Tennessee where I live. So I arrived in Orlando on Friday and met up with my co-worker Jonathan at the Orlando International Airport around noon after waiting on my bags at baggage claim. We took an Uber straight to our hotel which was the Rosen Shingle Creek conveniently located next to the WordCamp Venue. I can remember pulling into the driveway of this place and thinking to myself what in the world did I book. This place was absolutely the biggest and nicest hotel I had ever been too. We got to the room and looked out the window to notice three ginormous pools and a well maintained golf course. After talking for a bit, we decided we would go grab a bite to eat! Well our hotel had 15 restaurants in it but instead we wanted something that felt local and not a franchise or elaborate. 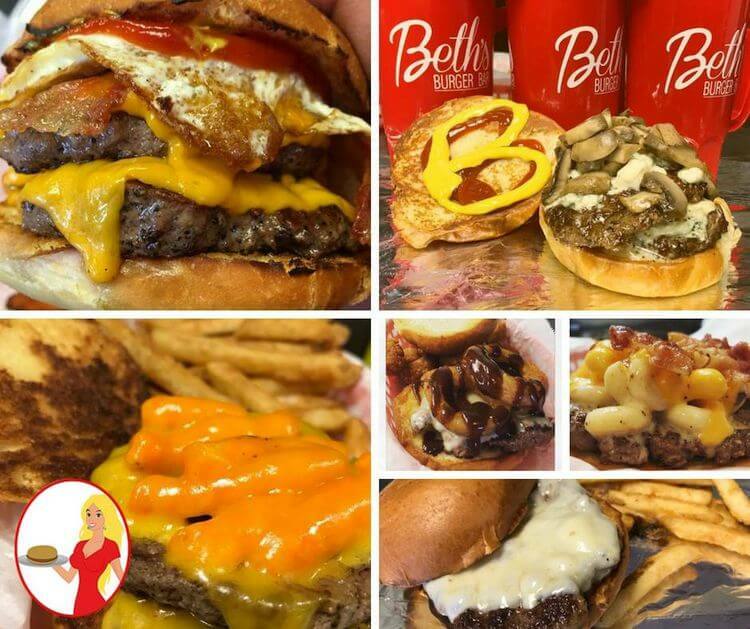 We ended up walking over to a place called Beth’s Burger Bar and oh my, it was so delicious. We even got to meet Beth the owner. She was extremely nice and made the comment about having two arms since some of the pin-ups around the walls were missing arms. Jonathan had a homemade milkshake after the meal and I think he was in heaven, he said it’s so creamy. It was quite funny. Afterward, we took the shortest UBER ride ever back to the hotel as we were tired and it was safe to say we were full. Did I mention we didn’t have a sidewalk to walk on back to the hotel! We got back to the hotel and decided to just rest for a while before we left to attend the speaker / sponsor dinner hosted by the WordCamp Organizers. It was held at a place called Gods & Monsters which they classify themselves as the evolution of the pop culture retail experience. There was also a hidden bar in the very back of the place that was like nothing I have ever seen before. It was truly unique. Fast forward to Saturday and we get to the venue and set up our booth and begin mingling with the WordCampers. 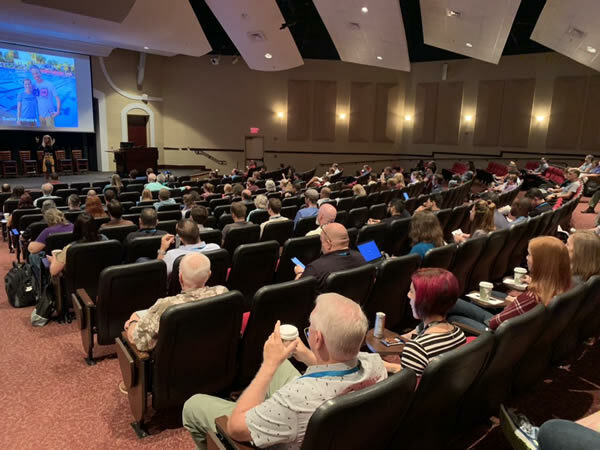 Bess Auer spoke gave the opening keynote at WordCamp Orlando 2018 on the importance of community with blogging. One golden nugget that she stated was to “Treat your fans like friends” and I agree 100% with that! When I was a small kid, I can recall my dad who was a Sergeant in the United States Army telling me and my brothers to always treat people like we wanted to be treated and I still live by that cliché today as it is a very good one to live by. You see if someone is going to become a fan of yours that means they are going to give you one of their most important things that anyone can give and that is their time. Once our time is spent, we can’t get it back. This is why I can understand what Bess means by the statement above. So next time someone gives you their time, turn your ears on and clear your mind and listen to what they have to say! Don’t listen to just hear, instead listen to understand! There were so many great sessions in Orlando on both days with amazing speakers from all over. 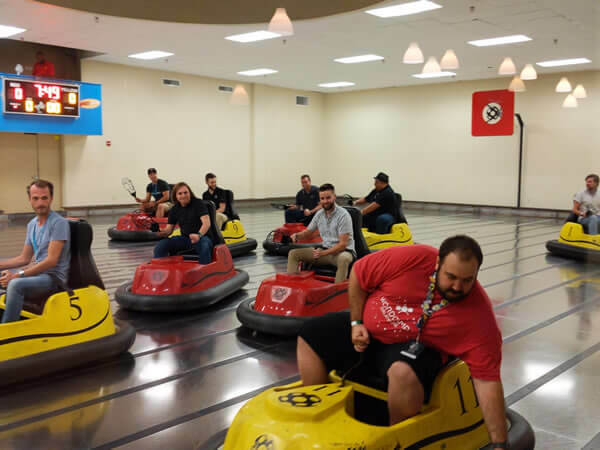 At the end of the camp on Saturday, we went to the After Party which was held at a place called WhirlyDome! Let me tell you, I don’t think I have ever in my life had so much fun playing on bumper cars. They have this game called Whirlyball and it’s basically bumper cars, hockey and basketball all in one. I have to say, Jonathan and I along with many of our friends played this about 7-8 times. It was so much fun and very competitive. I forgot to mention for lunch on Saturday, we had Chicken Po’ Boys with Beignets and on Sunday we had Beef Stroganoff with Homemade Ice Cream. All the food was prepared by the students of UCF Rosen College of Hospitality Management. I should note that the students were tested on how well they did and prepared the food for the entire weekend of WordCamp. How cool is that? What a great way to provide a service and then learn from it. I was pretty excited for them, the criticism and feedback that they get from this experience will allow them to be even better at what they have chosen to do. The entire time while we were at WC Orlando we had people visit a special link after visiting our booth and register to win one of five prizes that we were giving away at closing remarks. Upon closing remarks, we gave a Roku Ultra, Google Home Mini, SH-1 Package, SH-2 Package and a Cloud 1 Package away. It was a blast to announce the winners and give back to our WordPress Community. This is one of my favorite parts and I love seeing people smile! 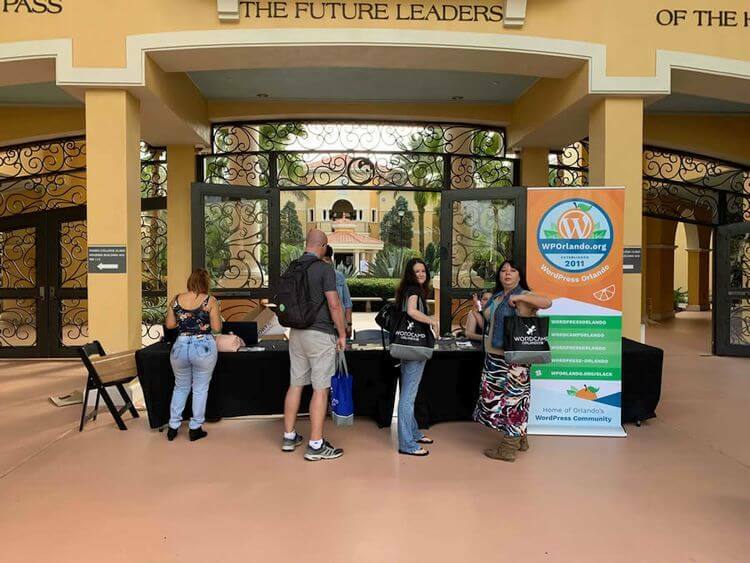 Overall, WordCamp Orlando was a huge success! We established some great connections, built some meaningful relationships and got to see what I refer to as my WordCamp Family. Lastly, let’s not forget that this WordCamp was held over Veterans Day weekend, so thank you to all those who have served in the United States Military. ~Mickey E. Trivett – Chief Happiness Officer at KnownHost, LLC.